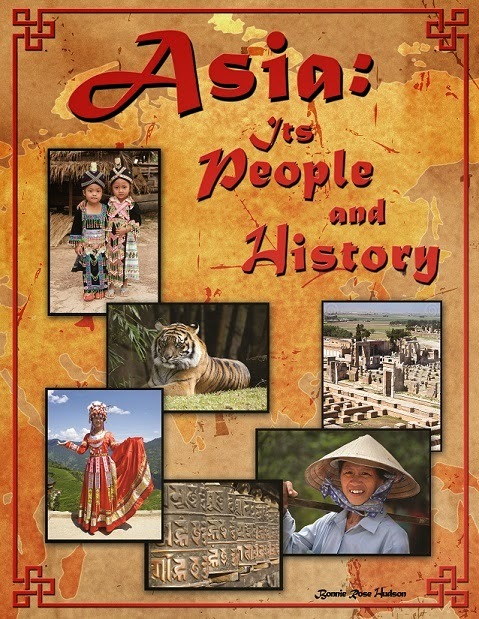 Filled with stories, activities, and tons of information, Asia: Its People and History by Bonnie Rose Hudson is a wonderful resource for Christian parents seeking to introduce their children to the people of Asia and the wealth of history about the area. With her desire to bring history to life, Hudson has created a phenomenal, engaging, and informative resource designed for children ages 8 to 12. The curriculum is divided into sixteen weeks that can be stretched or compressed to best fit your schedule. Each section contains a story, discussion questions, and activities to make learning come alive. Links to downloadable information make it easy to find what you’re looking for more of. After the Answer Key, you’ll find a list of resources that includes suggested reading, in addition to a special free offer from the author. I plan to share my copy with a homeschooling mom I know. This curriculum will inspire children to learn more. Highly recommended. You can purchase a paperback or digital copy of this book from the author’s website at http://writebonnierose.com/products/ or the Kindle version at Amazon.